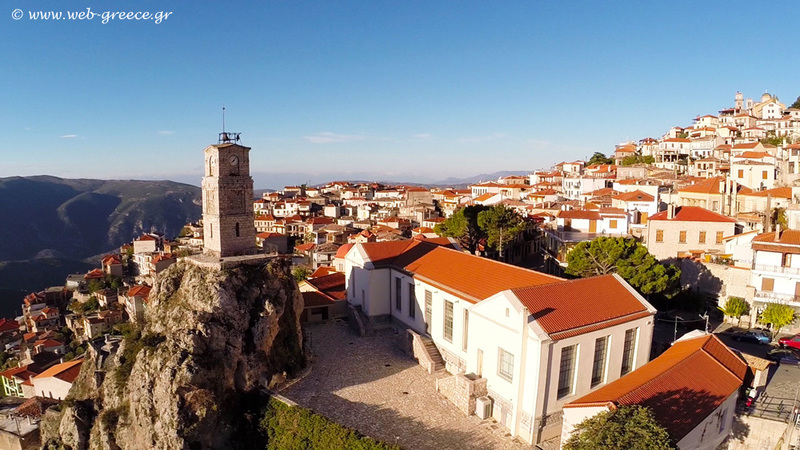 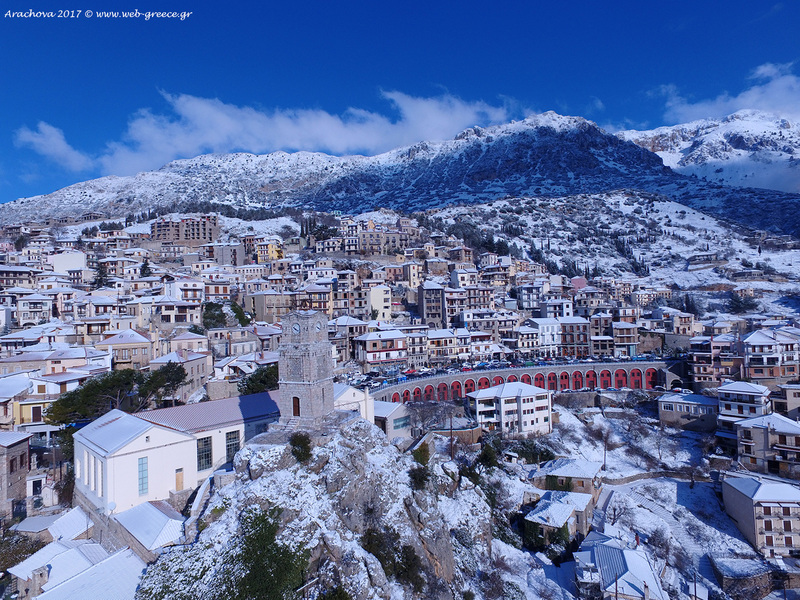 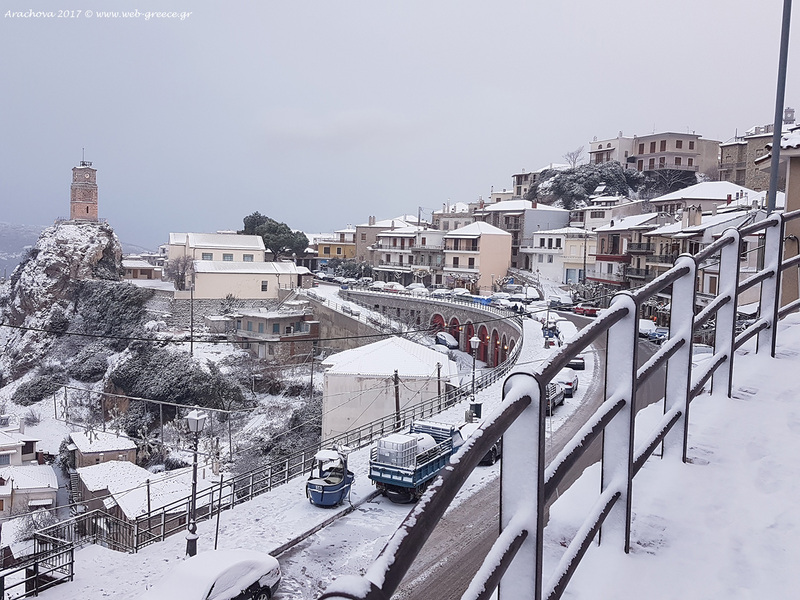 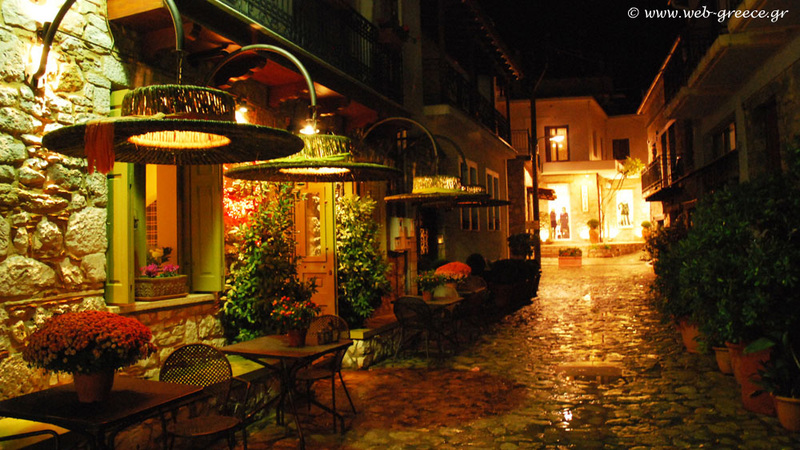 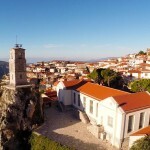 Arachova is a mountain village, built on the slope of Parnassos Mountain at an altitude of 950m. 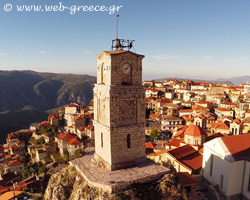 It belongs to Viotia prefecture and it is 160km from Athens. 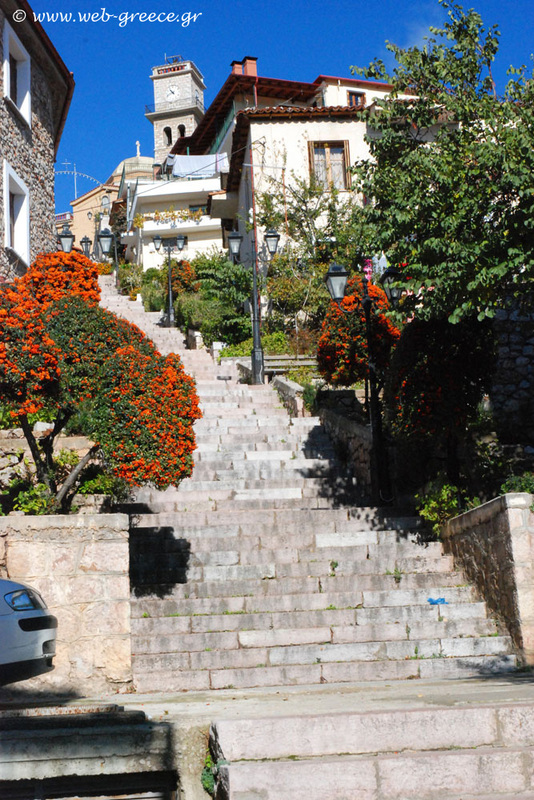 When the visitor comes he firstly sees beautiful stone houses, narrow streets and springs. 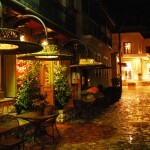 Despite its huge tourist growth, its heritage has been well preserved combining convenience with traditional character. 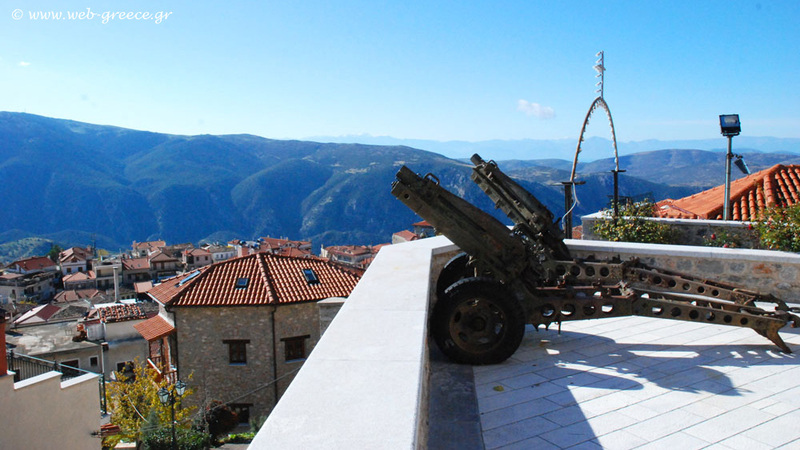 If you visit Arachova during Easter you will have the opportunity to enjoy the “Panigiraki” feast, celebrating Saint George, the patron saint, and the battle of Arachova (November 1826). 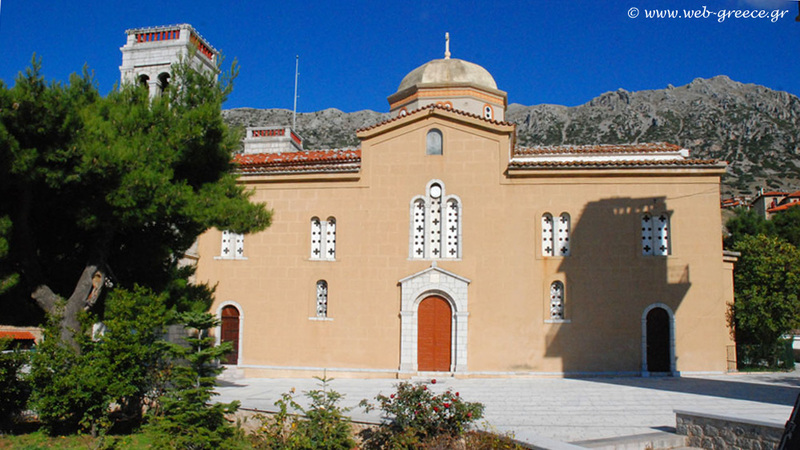 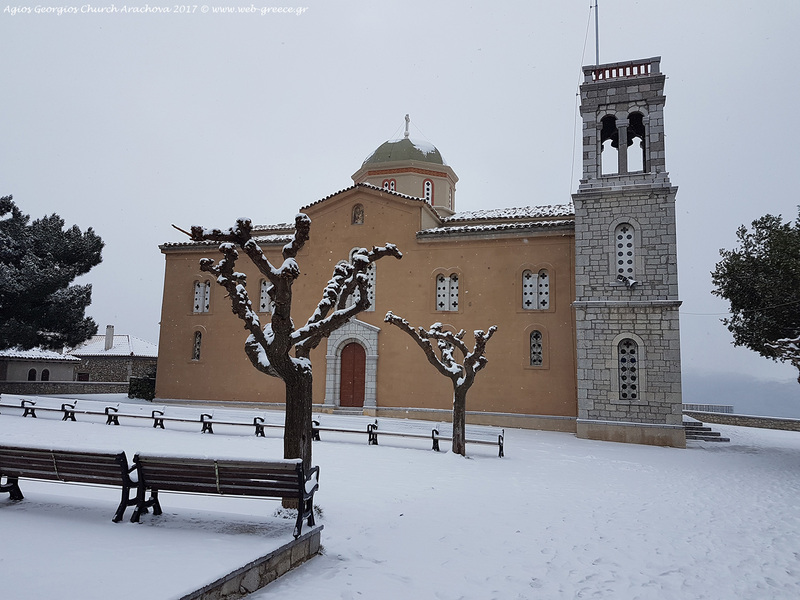 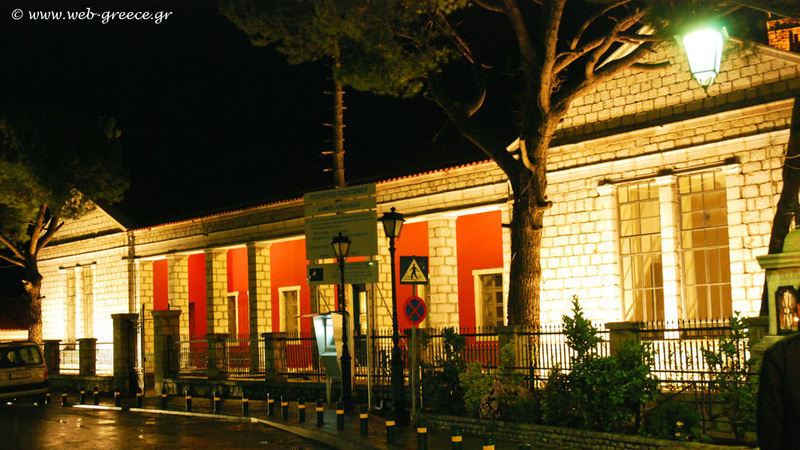 The worship of Saint George in Arachova starts since the old time and it is interwoven with many legends and traditions. 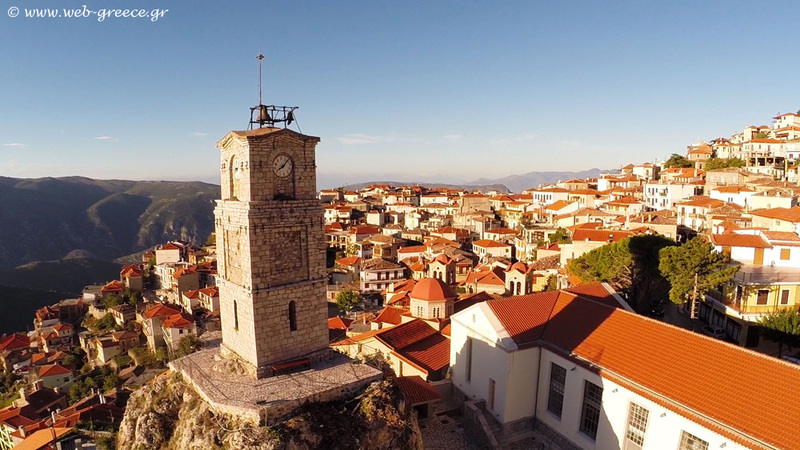 “Panigiraki” is a festival which maintains age-old Greek customs of festivals stemming from antiquity. 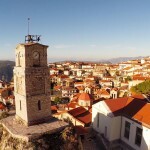 Some of these customs are the dance of the elders, rock-lifting, stone-throwing, shot-put, wrestling, the uphill races for elders, men and youth, the banquet at the churchyard, the Roumeli feast etc. 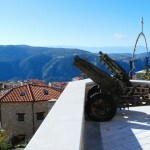 “Panigiraki” took its national character after the battle of Arachova in November 1826. 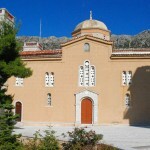 According to the tradition Saint George the Trophy-Bearer led the Greek fighters and their leader George Karaiskakis to victory over the Turkish-Albanian troops of Moustabey. 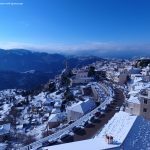 The settlement combines the magnificence with the wild landscape, majestic view, healthy climate, peculiar architecture, nightlife and winter sports. 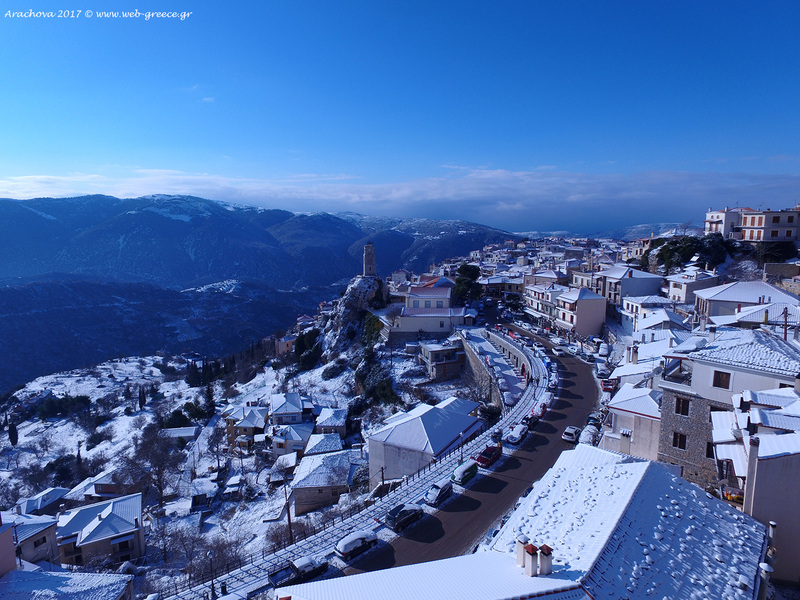 It is a winter destination which offers adventure, various activities and in the same time rest and relaxation. 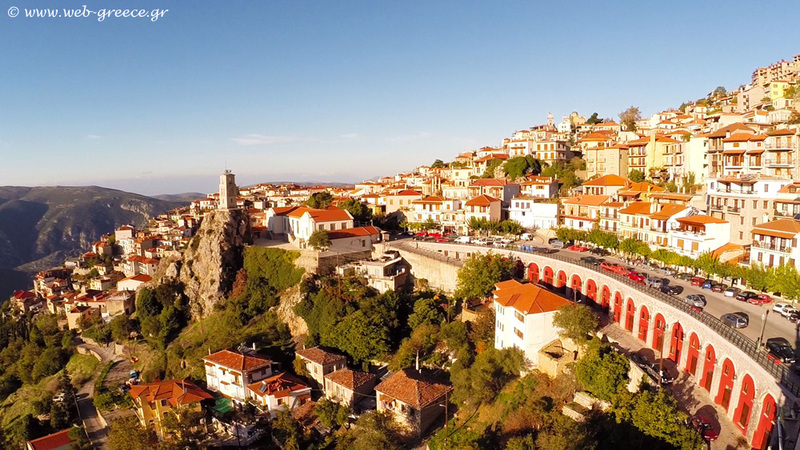 It is famous for its agriculture, cattle breeding and the high quality of the local products. 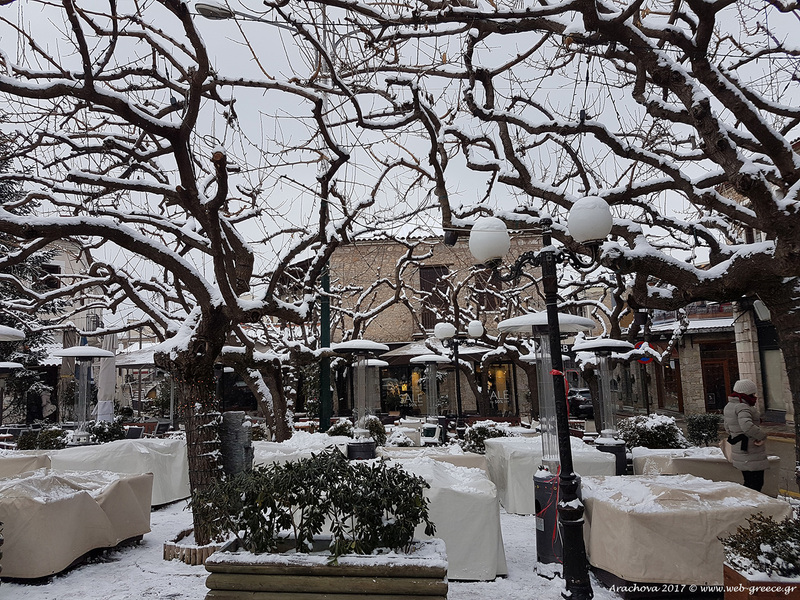 Some of the traditional products of Arachova are: olive groves, olive oil, jam, legumes, honey, tsipouro, formaella cheese, feta cheese, yogurt, opsimotiri cheese, halvah, frumenty and noodles. 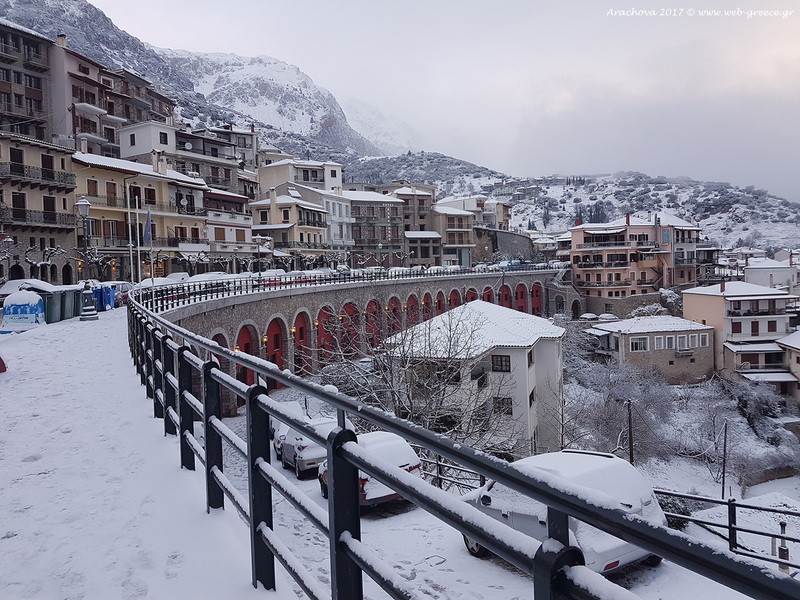 Arachova or Rachova is also famous for its handmade, pure woollen textiles, which are made using traditional looms and natural colours. 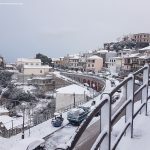 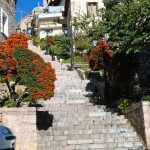 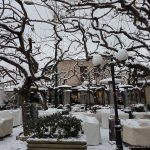 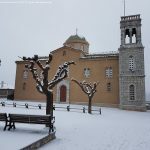 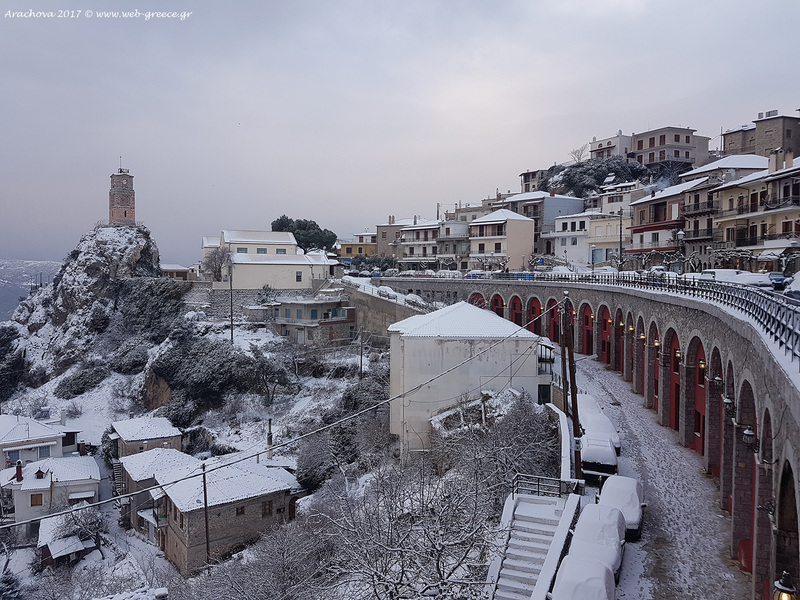 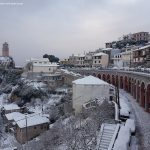 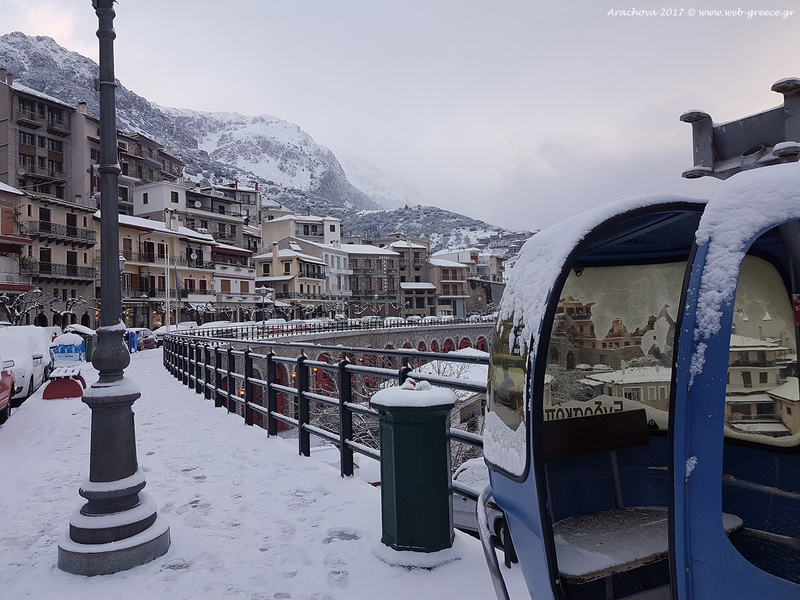 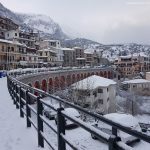 Arachova is mainly known for Parnassos Mountain and the ski centers. 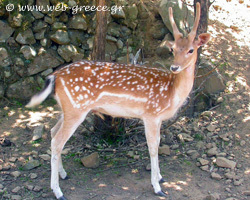 However, there are equally remarkable and interesting beauties at the round area of Parnassos, to discover and admire. 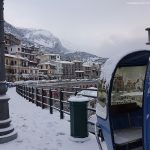 Very close to Arachova there are the ancient site of Delphi which is known for the ancient Oracle of Apollo, the picturesque Galaxidi, Saint Lukas Monastery and the small fishing village Antikyra with its archeological sites and the beautiful beaches. 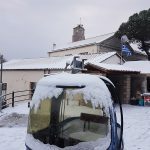 The natural environment is offered for alternative tourism like trekking and mountain bike at mountain forest roads and paths and climbing at rocks with the help of experienced mountain leaders. 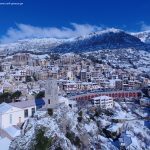 In addition, for the most demanding and adventurous the area is offered for RAPPEL which concerns steep rock coming down of high or low altitude using climbing equipment. 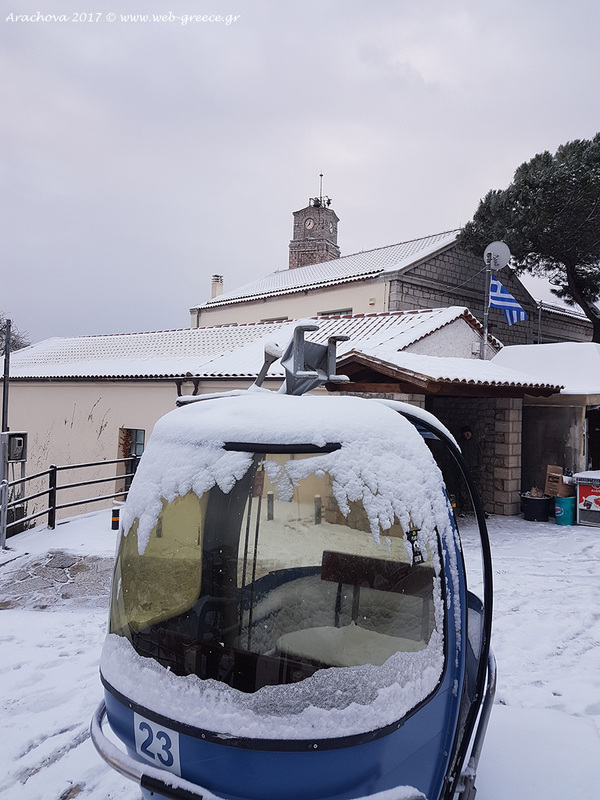 The two highest tops of Parnassos Mountain, is Liakoura (Likoria) 2.457m. 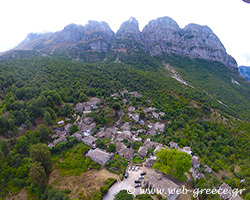 and Gerontovrachos 2.435m. 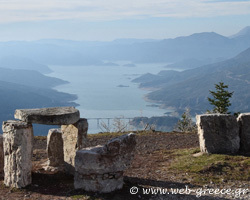 Between these tops and at Arnovrisi side there are the two most famous ski centres of Greece, Fterolaka and Kelaria. 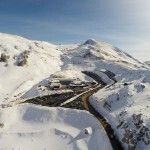 They may be the best organized and equipped ski centers of Greece and can service ski beginners and experts too. 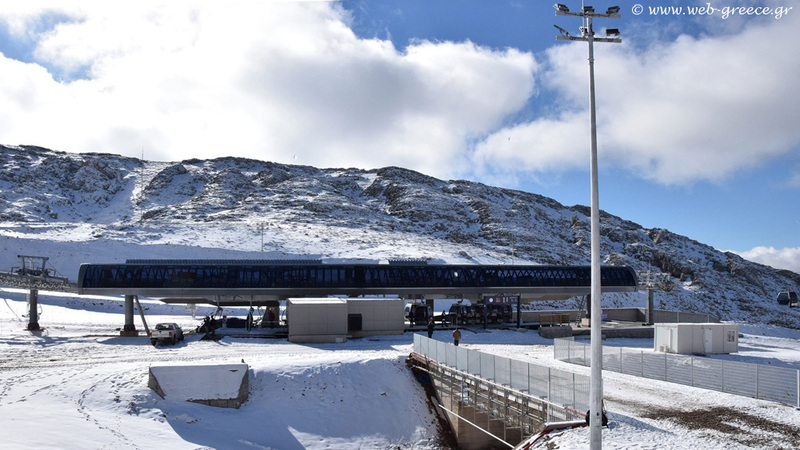 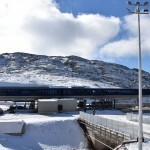 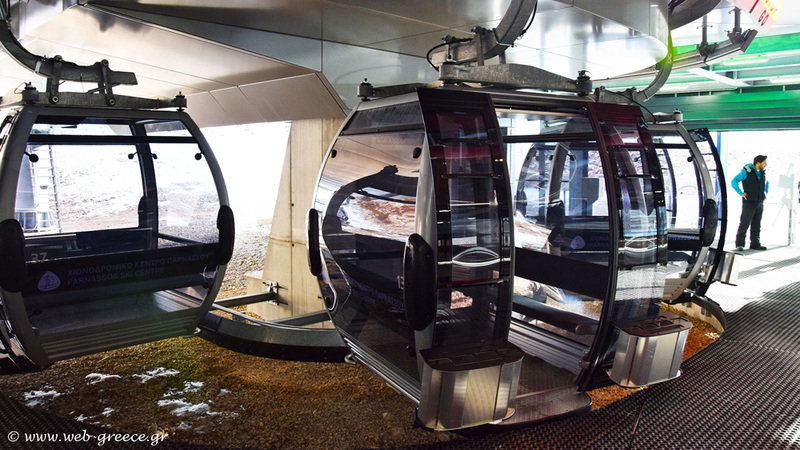 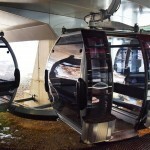 They are located at an altitude of 1600m-2300m and offer 13 lifts and 20 tracks of total length 14kilometers. 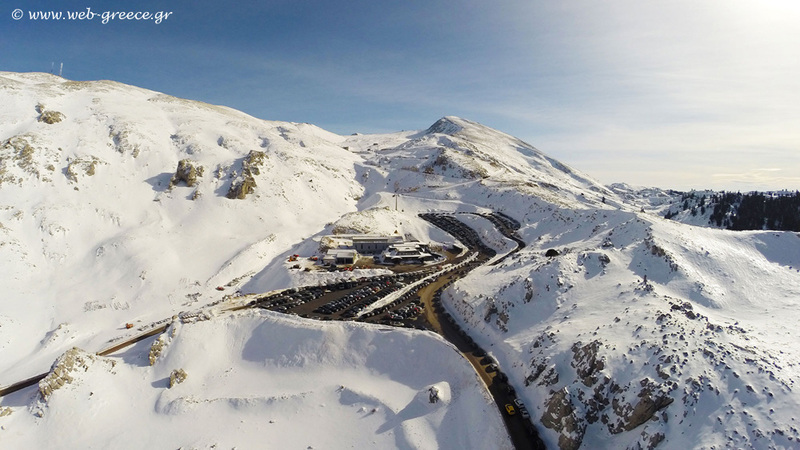 There you will find ski and snowboard schools, shops of renting and selling of ski equipment and shop of clothing. 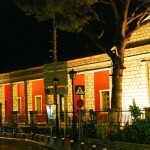 There are also parking space, cafe, bar, restaurant, first aid and baby sitting services.